Ive Collection awarded with Top Design Award 2017! • Poznań Marmite S.A.
Ive Collection awarded with Top Design Award 2017! Top Design Award 2017 committee awarded our Ive Collection. Top Design Award competition promotes design on a European level and confirms high design quality of products. Competition entries are evaluated by an independent Jury consisting of experts in the field of design. Award-winning Ive Collection has been created with lightness, strength and simplicity in mind. The designer took inspiration from a tulip flower as it opens its petals to full bloom. Slim form of the products is a reminiscent of a porcelain dish with fine lines and precise edges. 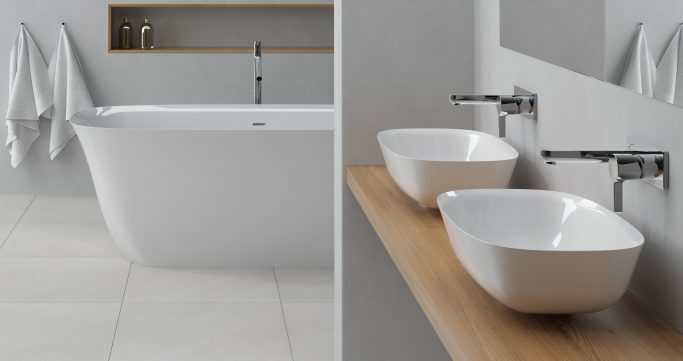 The Ive family contains: bathtub, column washbasin, two countertop washbasins, furniture and wallhung washbasin.